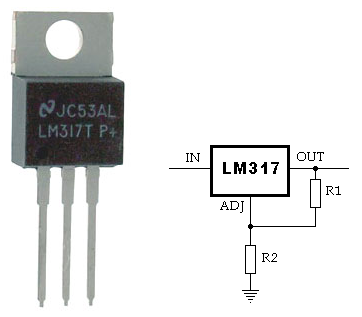 LM 317 is the popular adjustable voltage regulator IC commonly used to make variable power supply. 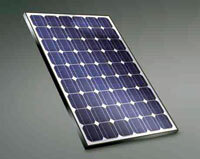 It is a three terminal device with Input, Output and Adjustment pins. Actually, LM317 is an Op Amp with relatively high output current capacity. The Inverting input of the Om Amp is Adjustment pin, while the Non-inverting input is set by an internal band gap voltage reference which produces a stable reference voltage of 1.25 volts.